This post is long overdue. I went to Boston a month ago for my sister-in-laws baby shower but as soon as I got back, I had the worse case of exhaustion. Sorry for the gap in posts, I have been on a month hiatus but I am feeling extremely better and ready to go. 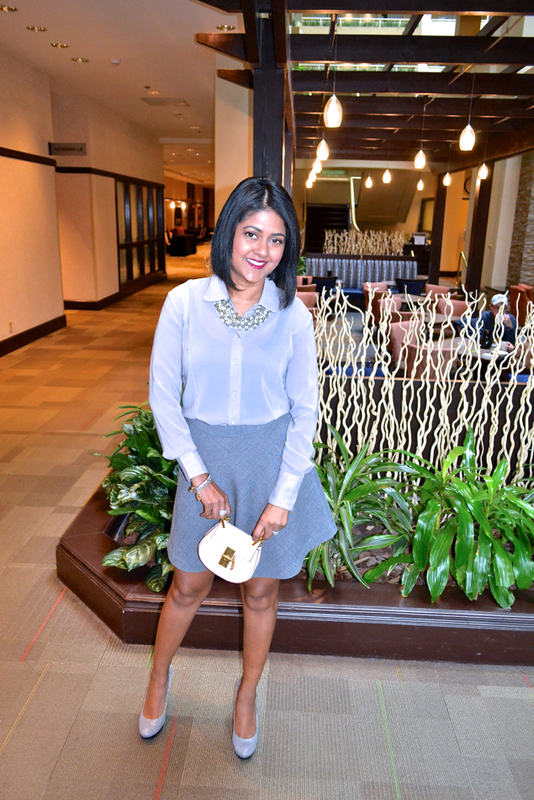 I have always been a fan of grey and monochromatic looks are always a great way to incorporate all my grey pieces. 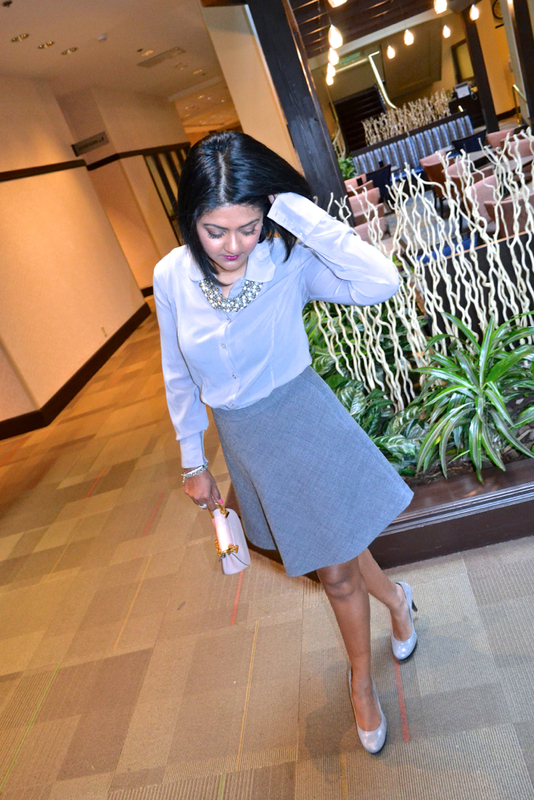 I found this grey skirt at an amazing Theory sale and couldn't be happier. 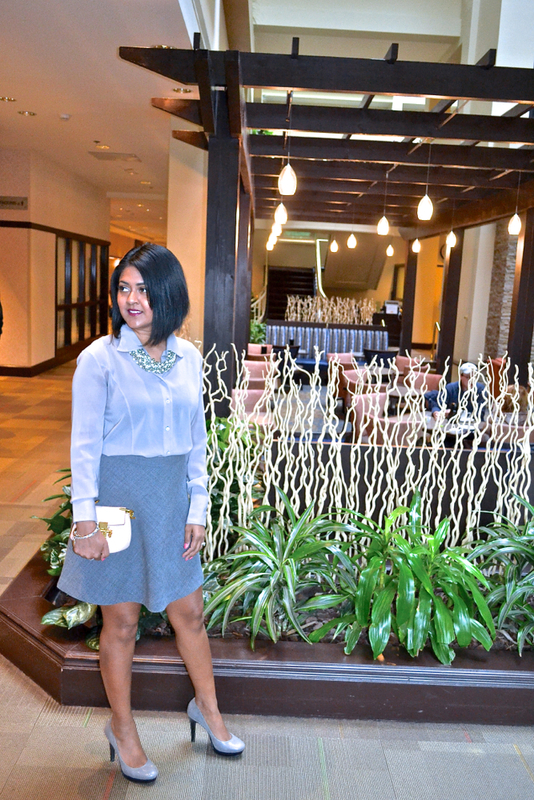 It paired perfectly with my Theory blouse and grey pumps. I did add a little bit of color with my mini pink purse. Monochromatic looks are easy to put together, it works well with neutral colors and having the shades close with one another.